It&apos;s not often these days that we get to hear about Madlib and DOOM at the same time, despite how hope for a follow-up to their landmark 2004 album Madvillainy​ persists. However, the duo have shared a track today, but it&apos;s not exactly new for a lot of fans. "Avalanche" has been floating around for years now, but has only just seen official release via Madlib&apos;s own label, Madlib Invazion. Rather than being released under the Madvillain namesake, the song has been released as MF DOOM and Madlib, suggesting this is but a one-off. 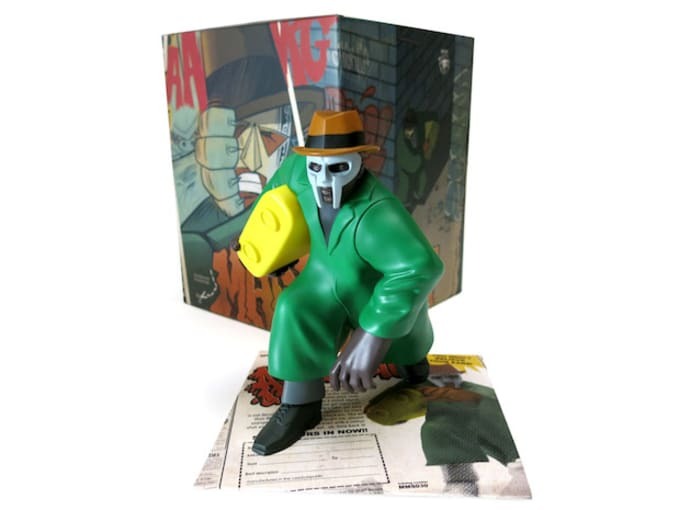 The "Avalanche" 7" vinyl will be accompanied by a new eight-inch-tall Madvillain figure, however, released via Rappcats. The impressive looking figurine was manufactured by South Korean toy manufacturer Blitzway, who previously worked on the J Dilla figurines. The figure is available to purchase with the vinyl here. Listen to "Avalanche" below, and check out the figure here.